The goal of Advanced Report Writing is to teach experienced police officers solid fundamentals that will help them write defensible police reports. Additionally, officers need the skills to write a report that will allow prosecutors to charge defendants without asking for follow-up information. A solid report will also allow other officers in the department to pick up the investigation where the report writer left off. This is especially important for complex investigations that are handed over to detectives by patrol officers. 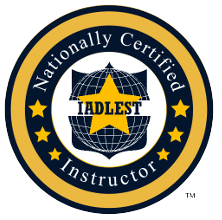 Finally, the goal of this course is to teach officers effective techniques that will help them recall the incident years later, particularly important for court testimony purposes. All students receive the extremely popular and useful Search & Seizure Survival Guide. This field guide was designed from the ground up for police officers. 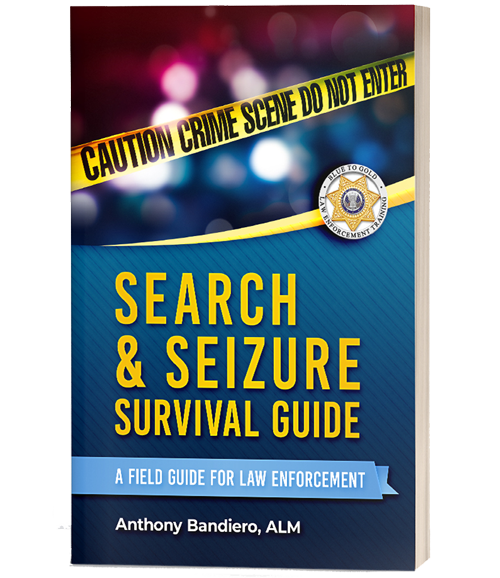 It provides guidance on almost every imaginable search and seizure scenario, including advice on how to articulate the necessary legal doctrines in police reports. Interested in Hosting this Class? Thank you! We have received your information and you will hear from us within twenty-four hours. This course takes approximately 2 hours to complete and provides a refresher on the law of interrogations and interviews. This course takes approximately 6 hours to complete and provides both a refresher and an update on search and seizure law. This course takes approximately 2 hours to complete and provides a refresher on many of the legal aspects of the use of force.